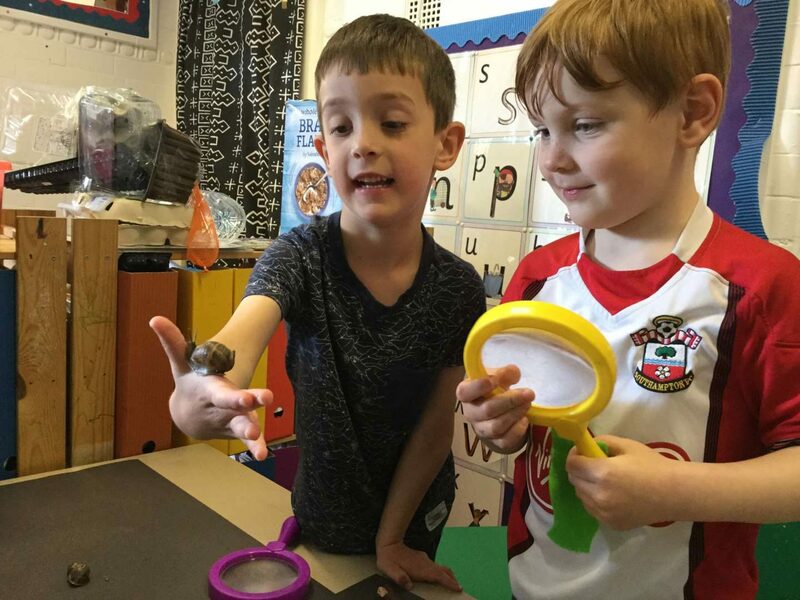 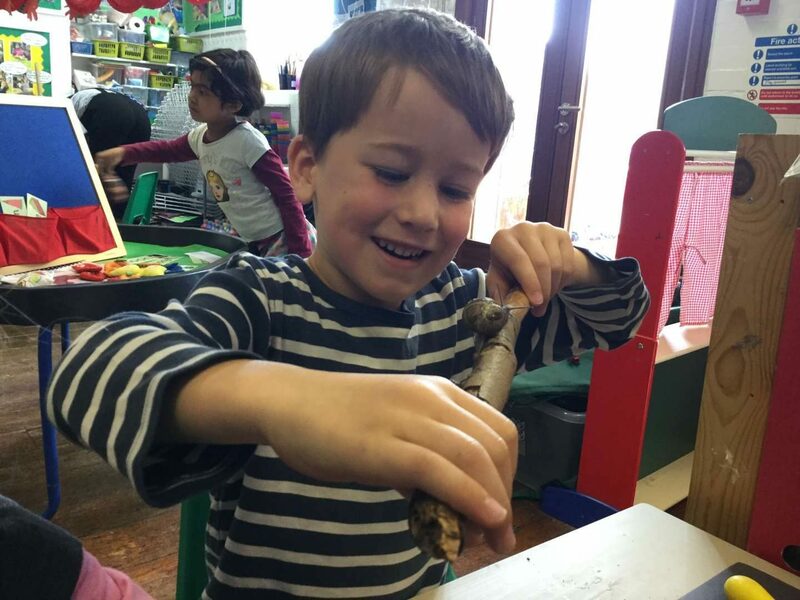 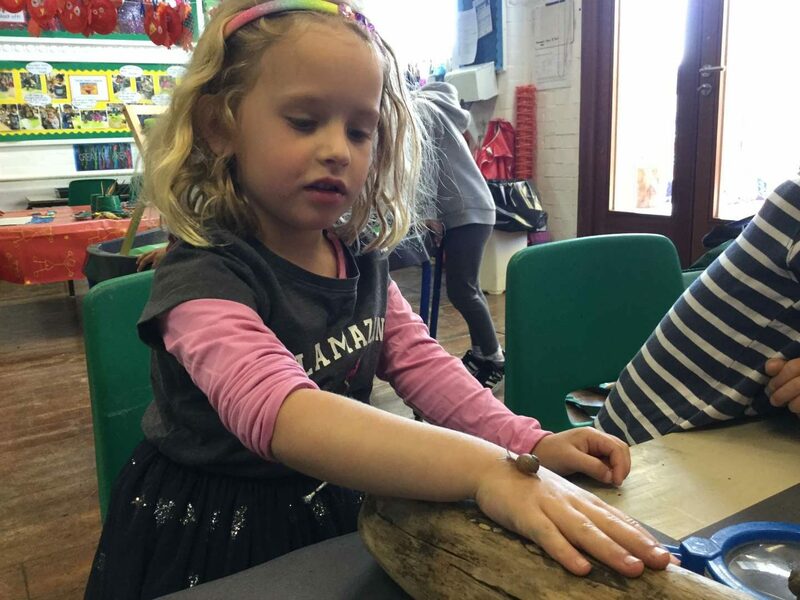 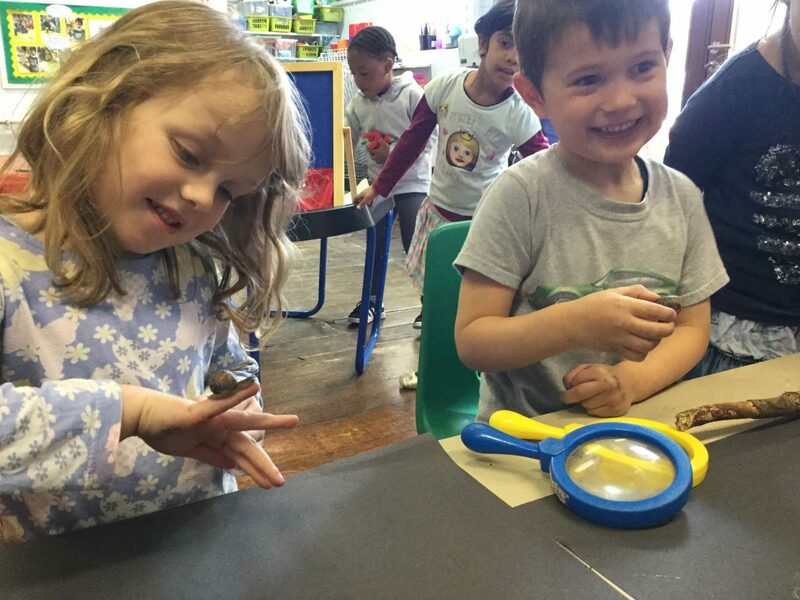 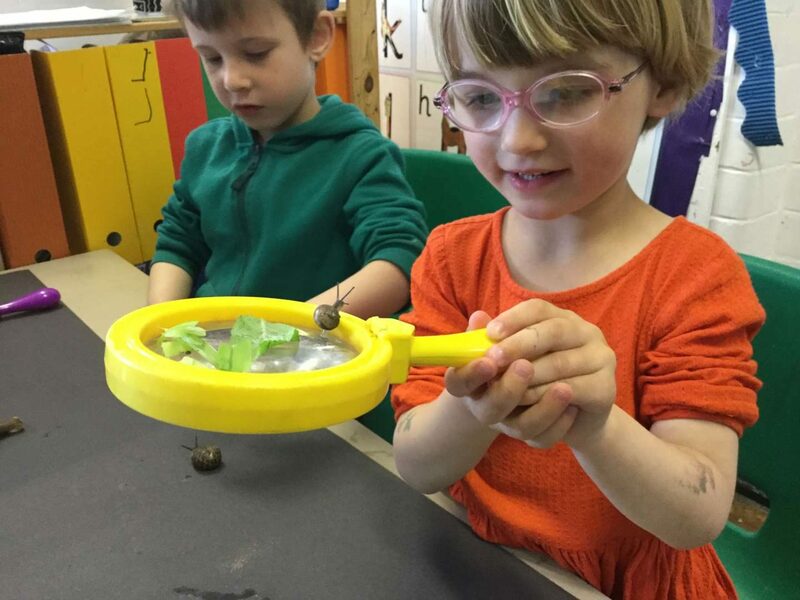 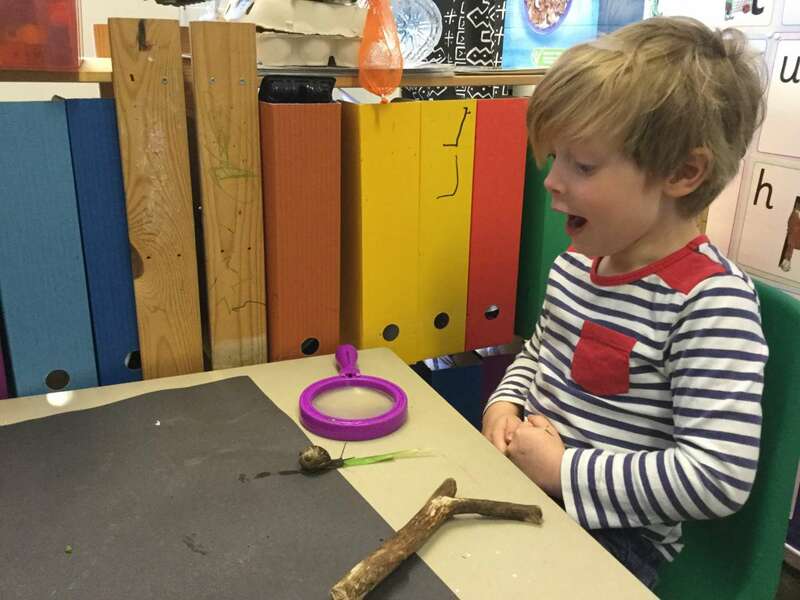 As part of our work on minibeasts, the children in Busy Bees enjoyed observing and handling some garden snails. 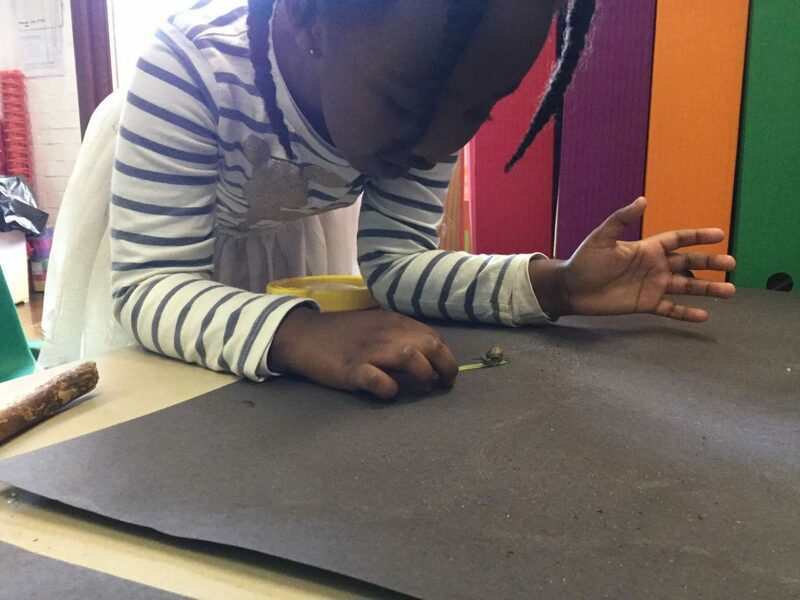 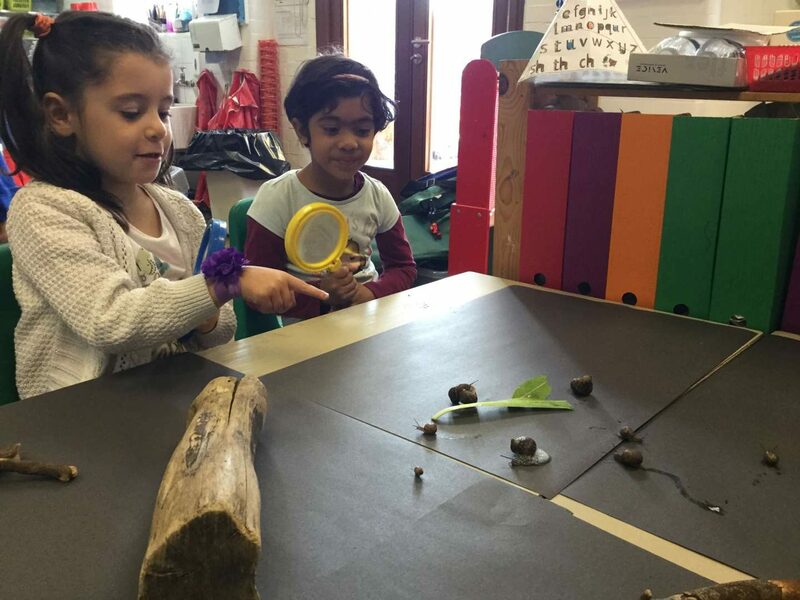 They used magnifying glasses to take a closer look at the shells and antennae, and watched as the snails left a silver trail all over the black paper! 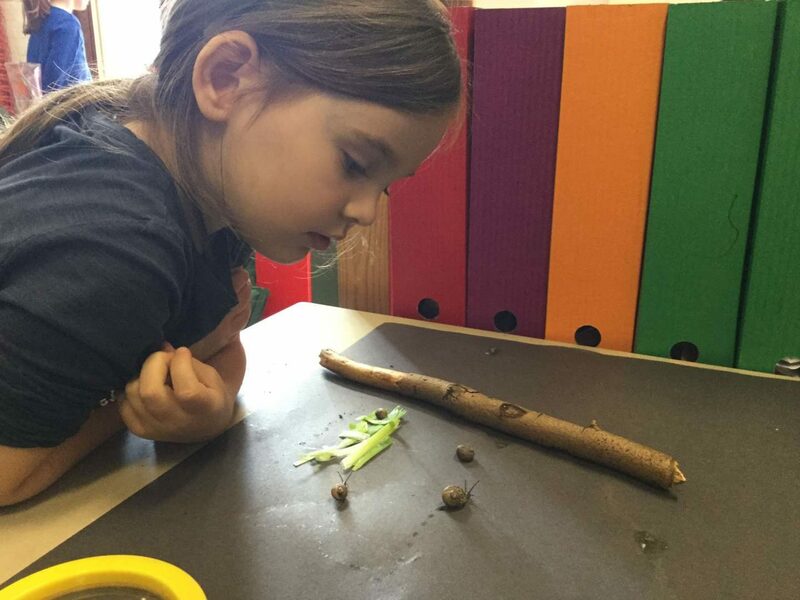 The children discussed the texture of the snails’ bodies and shells and they used these observations to inform their writing.